Today we're sharing the story of how a small, not well-known brand accomplished their business objectives through influencer marketing and e-commerce. 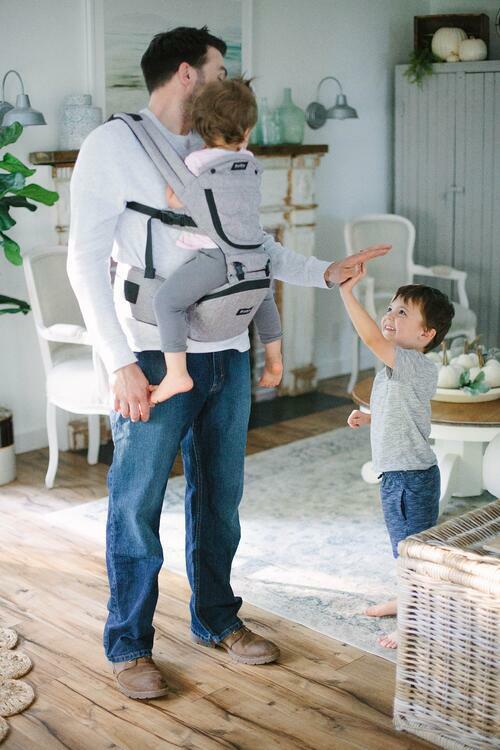 In this case, as you can see in some of the images below, we're talking about a new and improved baby carrier that was originally sold through a third-party retailer online only. However, the brand also wanted to be sold in-store, and in order to do so they had to prove that they could first drive online sales. We were lucky enough to partner with this brand for this project, and created a unique strategy just for them. We started by hiring influencers to showcase how the product could be used, then we took the highest performing content, and we optimized it for clicks. Now this is different than optimizing for reach, or optimizing for engagement, but it gets the people most likely to want to buy the product to click through to it. In the end, we sent over 10,000 visitors to the retailer's website, but from there we were blind to the results. It wasn't until the retailer went back to the brand that we learned the campaign drove an 84% lift in sales during the designated time period. What's even more exhilarating is that the brand is now available in that retailer, in store, as well as online, and that retailer is also now a client of Carusele's. So this strategy can work! We've recreated this type of campaign for several other brands and seen similar results. However, there are a few tricks that you need to be mindful of before you set this strategy. First, make sure you have enough budget to figure out the best performing content, and then be able optimize it among those with a propensity to buy. With a Carusele strategy, that's going to be a minimum of $20,000 for the total campaign. From there, make sure you're laser-focused on who your target audience is, and what the primary call-to-action is. If you do all this, you can experience great results as well. Or if you're looking for the right partner to manage this type of campaign on your behalf, contact us using the button below.